The Estates of Chancellorsville is an opportunity to live in a private retreat in an exceptional neighborhood with quick access to I-95, Route 3 & Route 1. The Estates of Chancellorsville is adjoining over 4,000 acres of the U.S. Park Service Chancellorsville Battlefield Park with walking trails, privacy and seclusion. Estates of Chancellorsville is a few minutes from shopping centers, grocery stores, retail stores, banks, dental, medical clinics and restaurants; is less than 15 minutes from Spotsylvania Town Center and Central Park. 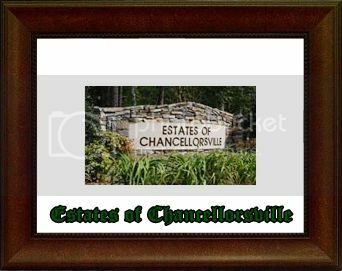 For more information about The Estates of Chancellorsville, please contact The Crews Team at 540-692-9144. Sign up on our website to get the latest homes for sale in Fredericksburg. When it comes to The Estates of Chancellorsville, The Crews Team is here to provide you with exceptional service.